The price of your guided hunt allows for you to bring up to 70 pounds. This includes your backpack, (backpacks will be packed in with your gear on a pack horse). 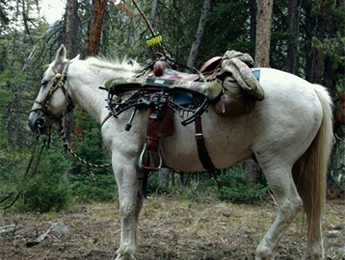 Extra gear will require an extra pack animal and will result in extra cost. Keep in mind that 2 small duffle bags are easier to pack than 1 large bag, so please pack wisely. Below is a list of items Big Timber Outfitters recommends you bring to make your experience more comfortable and enjoyable. Be sure to keep the season and weather in mind as you pack, as temperatures can dramatically swing in a single day, so the ability to shed and add layers is essential to your comfort. Deep snow and extremely cold temperatures are the norm during the winter months. This is especially true during mountain lion season, when temperatures dip into the sub-zeros. 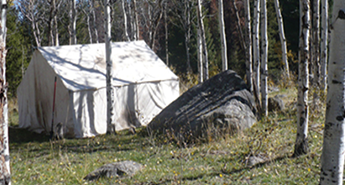 On Hunting Trips, a 50% deposit is required upon booking your 8-day hunt. This deposit is non- refundable. If you are concerned about the possibility of having to cancel, we suggest that you consider purchasing trip cancellation insurance from a travel agent. The remaining balance is due upon arrival of your scheduled hunt. 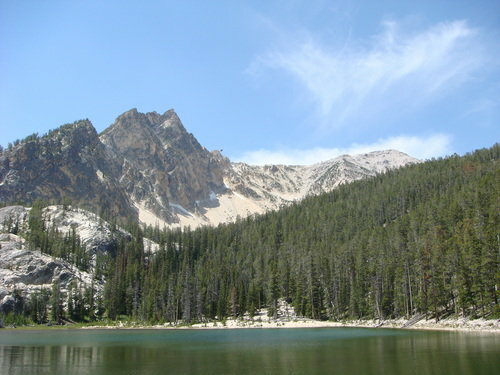 All land-based activities are subject to a 6% Idaho sales tax. We make every effort to ensure that your hunt/trip is enjoyable and safe. Your guide will give you instructions before and during your hunt, so it is important that you listen and follow these instructions. During your hunt, you will assume the responsibility for many decisions that could affect your safety. These activities can be physically demanding with inherent elements of risk and dangers that are beyond our control. We do not assume liability for personal injury or death. We require a signed release that we provide and all participation is at your own risk. Different types of hunts require varying degrees of fitness. We are not qualified to evaluate your fitness, so you must evaluate your own fitness. If a hunter wounds an animal, Idaho law requires that every effort is made to retrieve it. We take this seriously as this precious resource is limited. We will consider an animal wounded by a hunter his or her animal and will spend the remainder of the hunt searching for it. It would be unsportsmanlike and irresponsible to do otherwise. Make sure you’re prepared for your independent or guided hunts by contacting your hunting outfitter now at (208) 993-1688 or (208) 993-0194 in Salmon, Idaho, for additional packing information.